Konami has today announced an exclusive global partnership with Fulham Football Club. As part of the deal, the West London side will have their kits and players perfectly recreated in PES 2018, the latter of which will benefit from Konami's full body-scanning process. PES 2018 branding will also feature on the club's home, away, third and goalkeeper kits, and will be the main kit sponsor for the youth team. Konami Digital Entertainment B.V. has announced it has entered an exclusive global partnership with Fulham FC, one of London’s oldest and most iconic clubs, for its Pro Evolution Soccer (PES) series. Fulham were founded in 1879 and are London’s oldest professional football club. Having just missed out on promotion last season, the club are looking to the new season to build on their progress of the last few years and the club’s reputation for the development of talented young players. KONAMI and Fulham have entered an exclusive agreement that will see the club perfectly recreated within the publisher’s forthcoming PES 2018. The full squad will be recreated in game with all kits and players to be perfectly replicated via Konami’s full body-scanning process, while KONAMI will also have an extensive presence within the club’s stadium, as part of the match day experience, and within the club’s progressive youth academy. PES 2018 branding will feature on the back of the club’s new home, away, third and goalkeeping kits, and will be main sponsor of the Youth Team’s kit, showcasing the publisher’s support of the club’s enviable talent base. KONAMI and PES 2018 branding will also be prominent across the ad boards around the pitch and within branded areas inside the ground, and on ball boy kits on match days. KONAMI will also be taking over Fulham’s Family Zone area, with gaming set-ups showcasing the club’s inclusion in-game available for young fans to experience. PES 2018 will also be available in the club store and online eStore with an exclusive Fulham FC slipcase, and KONAMI is committed to working closely with the club’s online and social media teams to create cross-promotional campaigns including PES branding within match day team announcements and goal updates. 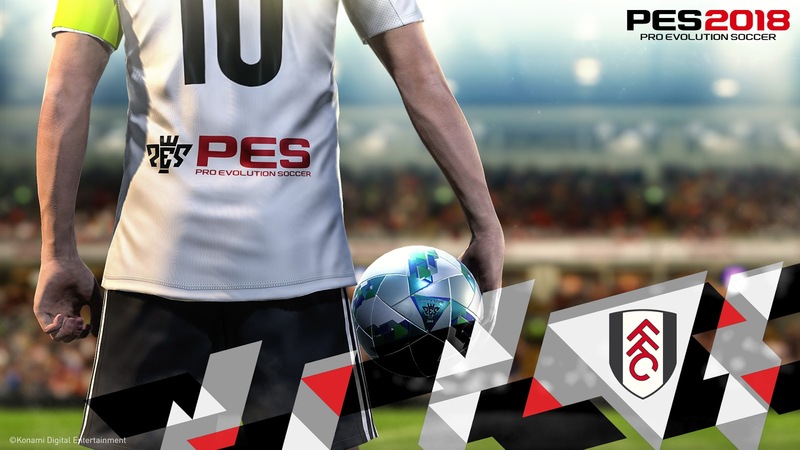 The agreement comes as KONAMI continues to extend the range of its in-game partners for the PES series. 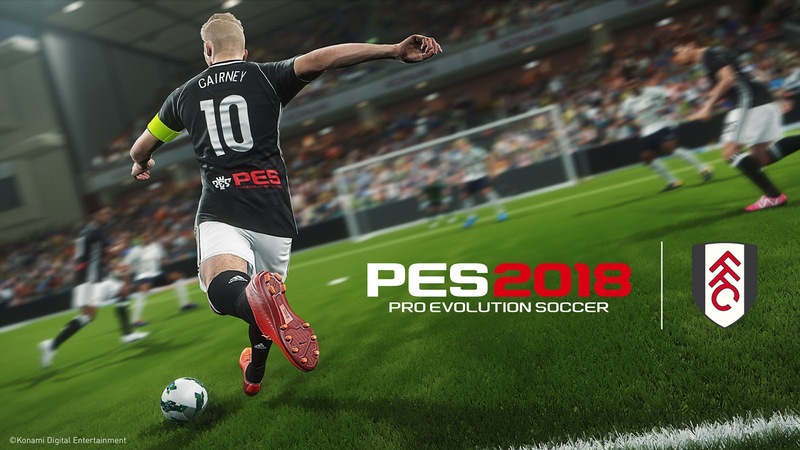 PES 2018 sees the publisher unveil an extensive range of new elements that build upon the previously laid foundations. Centred on the concept that PES 2018 is “Where Legends are Made”, the new game has more additions than any other in the series for the last ten years, including new ways to play, a PC version to the standard of the leading console iterations, and an unrivalled gameplay experience. PES 2018 will be released for PlayStation®4, Xbox One™, PlayStation®3 and Xbox360™ on September 14th. The game will also be available via Steam in a version that has undergone substantial improvements in terms of aesthetics and content, ensuring the game enjoys parity with the current gen formats.